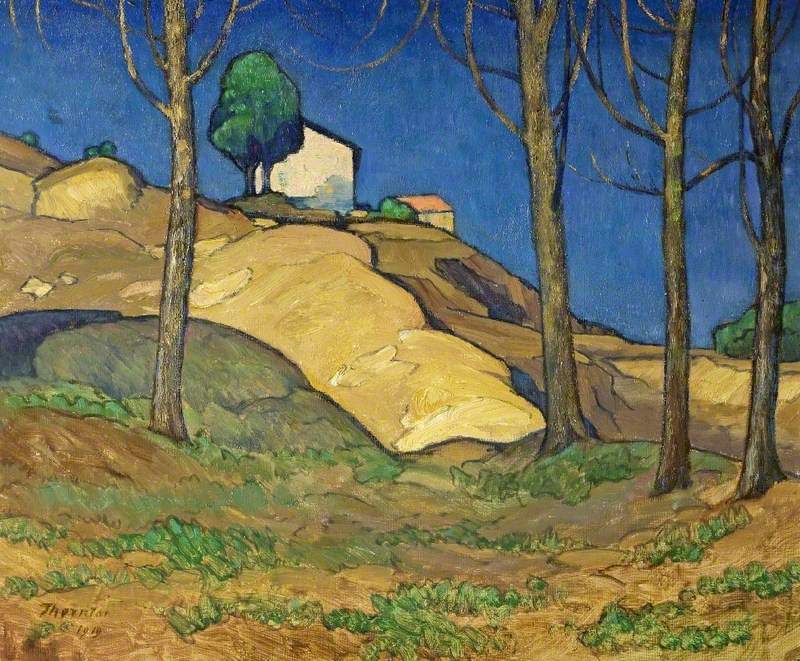 Sutherland, Graham Vivian; Devastation, House in Wales; Cheltenham Art Gallery & Museum (The Wilson). I was recently asked to talk, briefly, about a favourite work in the Art Gallery & Museum at Cheltenham (The Wilson). This posed a problem – for I have always been uncomfortable about having a ‘favourite’ painting or ‘liking’ a painting – what does one mean by ‘like’? So with these qualms in mind I have opted for Graham Sutherland’s ‘Devastation, House in Wales’. When I first came across this painting, in 1973 on first taking up the post at the Art Gallery and Museum, my initial reaction was a combination of the joy of having a work by a major modern British artist and an emotional horror at the scene depicted, or interpreted. That horror was because it brought back to me my personal experience of the devastation and suffering of WW2 bombing. I remember vividly a particular experience – having travelled with my family, I was about six years old, from Bolton to Sheffield to see my grandparents. Bolton had not suffered particularly badly from bombing as the German planes flying over were heading for Manchester and Liverpool, occasionally they jettisoned bombs on their return but causing relatively little damage or carnage. Travelling, by a very crowded train, from Lancashire to Yorkshire was, for safety reasons, through the longest route through the Pennines, the Woodhead Tunnel. On this occasion when we stepped off the train in Sheffield I was immediately struck by an eerie silence and a strong acrid smell from plumes of smoke amidst devastated buildings which I had known as shops, offices, and public buildings as well as houses. Overnight the centre of Sheffield and the massive steel works surrounding the city had been severely bombed. This painting hit a nerve. 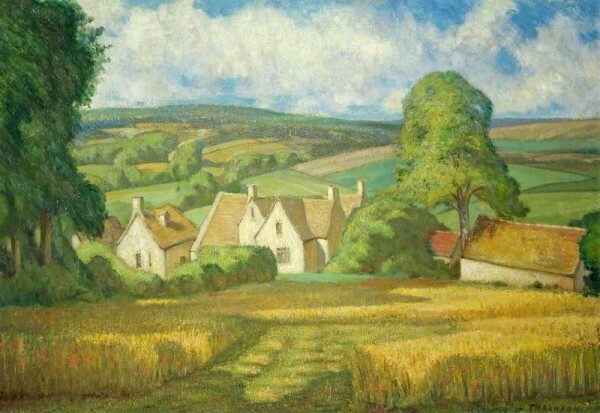 As a Government commissioned War Artist, chosen by Sir Kenneth Clarke, Sutherland went around the country recording, quite deliberately, scenes of bombing damage outside London – in this case to the industrial areas of south and mid Wales. As an adult, studying art history and then on to Curatorship, I had seen many types of depictions of war damage – most of them realistic, almost topographical, works. This work is of a different order completely. In this work, small as it is, the artist has used his ‘advanced’ abstract methods to really reveal, almost physically, the feeling of a bomb dropped INTO a house – forcibly destroying the fabric and ‘soul’ of an innocent building and its occupants. The artist does this by his use of line, form, and colour in a powerful and unnerving way. One can feel the impact of the bomb as forcibly and suddenly it thrust itself into the building, destroying everything around. The strong and forceful lines of the composition, the sharply angular forms, and the vivid clashing colours with more sombre tones. Nothing moves, nothing living, Silence – with the possible occasional sudden fall of fractured masonry. This is a work which is not to be passed by casually – but visually studied and explored. 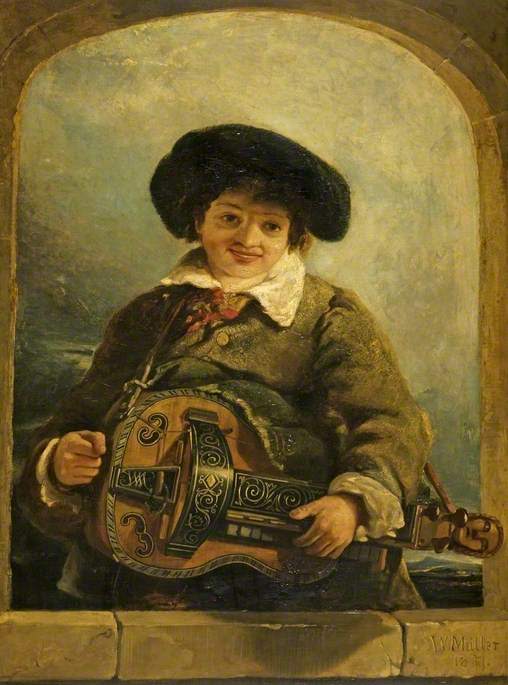 Muller, William James (1812-1845); ‘An Italian Boy with a Hurdy-Gurdy’ (1837); Cheltenham Art Gallery & Museum. Currently tucked away in the Reserve Collections at Cheltenham Art Gallery & Museum (The Wilson) is this large painting by an early nineteenth century Bristol artist, William James Muller. Another work in the Cheltenham collection is completely different – an ‘Eastern Scene’. Muller made many trips to Egypt and surrounding areas and his work was popular in London and by patrons nationally. Other painters, notably David Roberts, were making similar trips – usually at the behest of some wealthy patron. Lord Northwick at Cheltenham and Blockley was one such patron. Muller seemed always to retain a strong Bristol link, mainly living in the City. 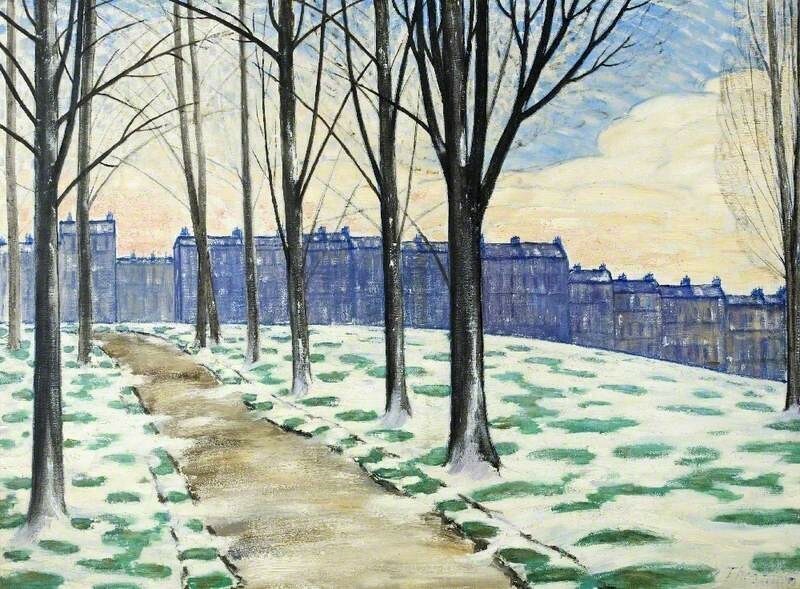 He was involved in the annual Art Exhibitions staged at the Bristol Institution and clearly had a strong base in the city and its art patrons. The ‘Hurdy Gurdy’ player seems rather odd – but it is probably a work done for a patron from sketches he had made when, in his younger days, he had travelled and painted in Italy. The local patrons were in the main the new breed of merchant and traders – manufacturers and dealers – building upon the historic importance of Bristol as the second city, alongside Norwich, outside London. It is interesting to note that a work with this title was in the ownership of the Acraman family- active art collectors and patrons in Bristol. The Acramans had built up a large and innovative iron and steel making business, based upon the docks and port of the city, making such things as massive anchor-chains and metal plating and machinery for Brunel’s steam ships and Great Western Railway – including iron bridges and station seating. Unfortunately the Acraman businesses suffered disastrously from the vagaries of the market, financial, and new and experimental engineering – complicated by the fact that several major local banks went bankrupt upon which the Acramans had relied for a steady cash flow on innovative projects. The result was that the Acraman empire went bankrupt – necessitating the sale of their personal large and important art collection by Christies in 1842, in the city. Amongst the lots for sale was a painting with this title, the buyer not yet identified. 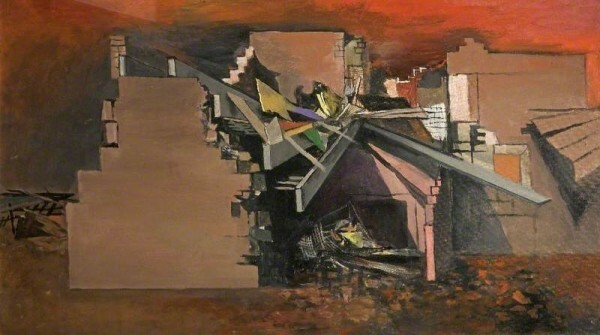 The Cheltenham work emerged into the open when it was given to the gallery in 1959. 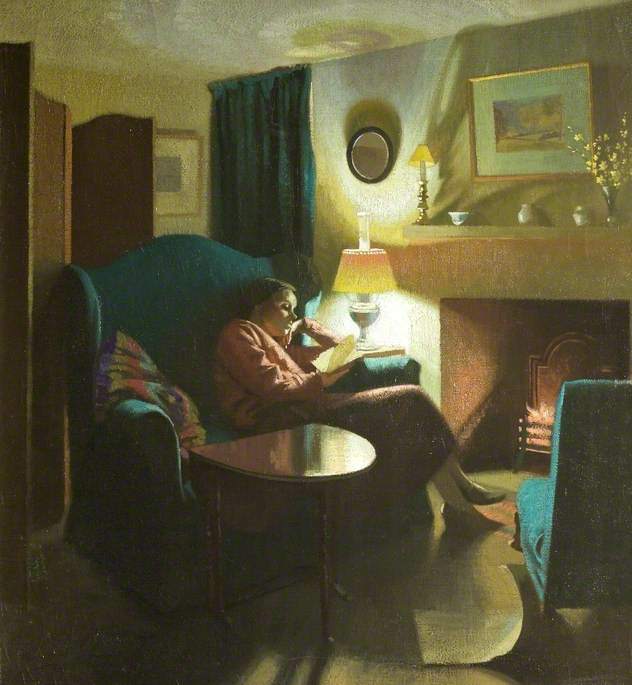 It is not certain that this is the same painting as in the Acraman collection – but the only other one I have come across is a rather sketchy work and not up to the standard of the Cheltenham work, Acraman was a discerning collector who required the best from the artists he patronised. The ‘Hurdy Gurdy Player’ was typical of the collecting taste of many early nineteenth century patrons – who had made their wealth in new technologies and products and fully supported British art and modern British artists. As they expanded they moved out of cramped inner-city houses, in Bristol also being their warehouses, to new developments in the purer air and more spacious surroundings outside, but close by, the city – examples being the Clifton area of Bristol and the Lansdown area of Cheltenham. New houses needed to be newly furnished – in the contemporary taste and fashion – and paintings were an essential part of the furnishings to be seen and discussed at personal social gatherings. The ‘Hurdy-Gurdy Player doubtless was a regular talking point.